Summary: In this Pandahall original DIY project, I'll show you how to make pink, blue, red glass bead and pearl bead chain bracelets for friends. 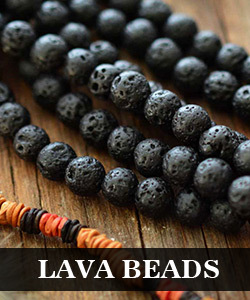 Hope you like the bead chain bracelets. Are you attracted by the above pink, blue, red glass bead and pearl bead chain bracelets? Wanna make some for your friends by yourself? This Pandahall original DIY project will show you how to make the pink, blue, red glass bead and pearl bead chain bracelets for friends. 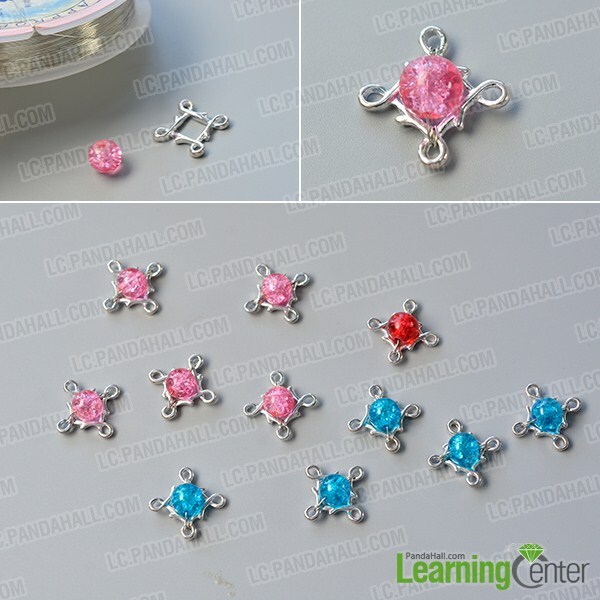 2nd, refer to the above step to make 4 pink glass bead patterns, 5 blue glass bead patterns and a red glass bead pattern(as shown in the picture). 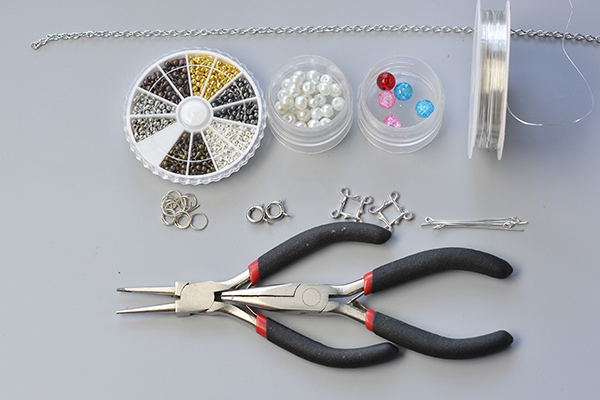 5th, add an alloy drop end piece to the end of the silver twisted chain. 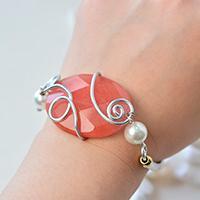 2nd, refer to Step 2 to make a red glass bead and pearl bead chain bracelet (as shown in the picture). 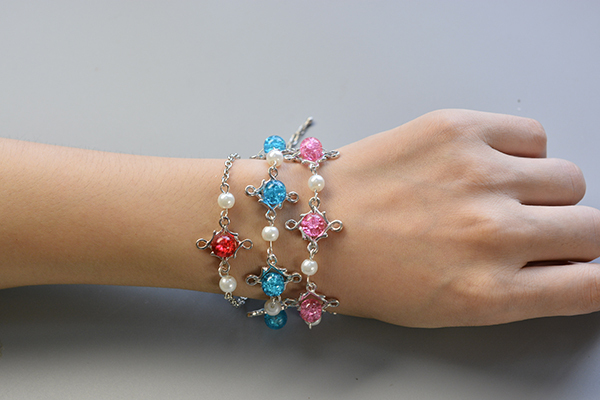 The pink, blue and red glass bead and pearl bead chain bracelets can be sent to three friends. As you can see from the above description, the making steps are very easy. Just collect some materials and have a try with the above tutorial.